In Mountain House, variety is the spice of life. Whether you’re looking for a larger home with plenty of space for your expanding family or practical features with a purpose, you’ll find a range of options that can be customized to suit your preferences. 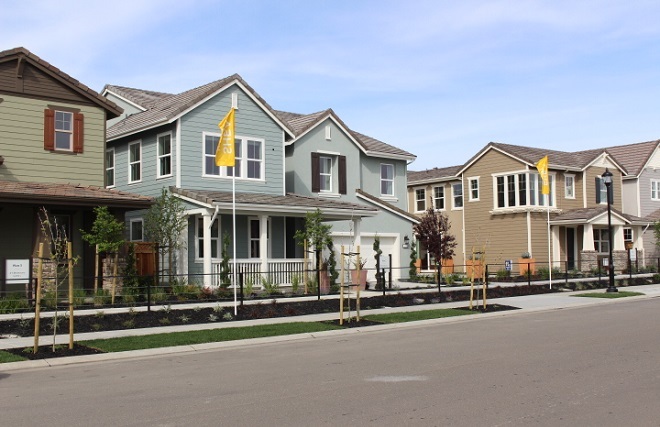 Choose from our 20+ model homes in Hansen and Cordes Villages. After all, there are many options to select from! To make your choice a little easier, we’ve outlined some of our most sought-after features, giving you a great starting point to find your perfect home. Why not bring the parents or grandparents along with you? We have multi-generational residence options in our Ashford neighborhood designed by Shea Homes available now. These stunning additions include a suite home suitable for extended family members, family visits, or rental income. Each suite home comes complete with a living area, bedroom, bathroom, and kitchenette. These designs feature a home within a home, so you’re never too far from your loved ones or guests. They even have their own home address! What could make a more perfect environment to live in than a community of villages that are home to friendly neighborhoods, winding biking and walking trails, scenic parks, and well-ranked schools? And don’t forget the vast array of community activities. Living in a community like Mountain House doesn’t have to break the bank. Price-conscious options are available in a number of our neighborhoods. The homes of Cascada by Woodside Homes offer inspired two-story solar floor plans with plenty of backyard space for the kids to roam. These homes are spacious in size, ranging from 2,551 to 3,053 square feet with included options like an art studio or three car garage. 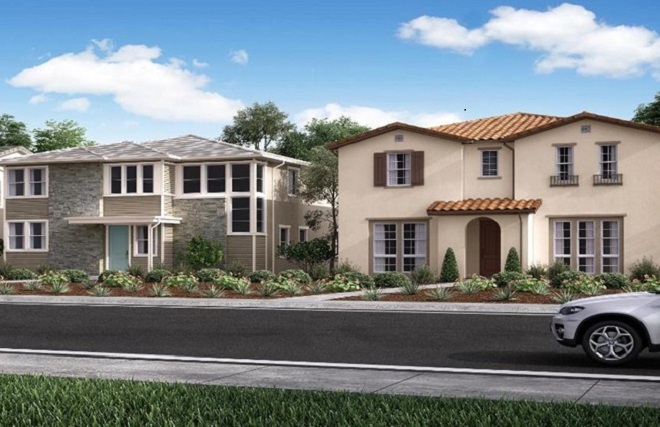 Another great option is Savannah II by Signature Homes, ideally located in the vicinity of Mountain House High School and the upcoming Cordes Elementary. This Cordes Village neighborhood has floor plans ranging from 1,966 to 2,324 square feet and includes spacious great rooms, gourmet kitchens, and elegant master suites built for comfort. 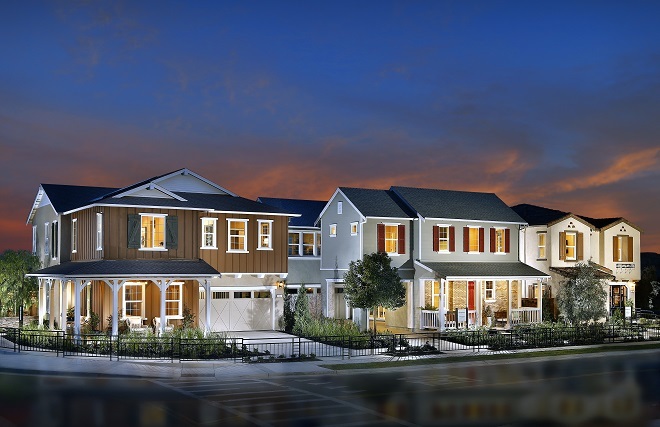 Inspirato by Richmond American Homes offers four inspired floor plans. 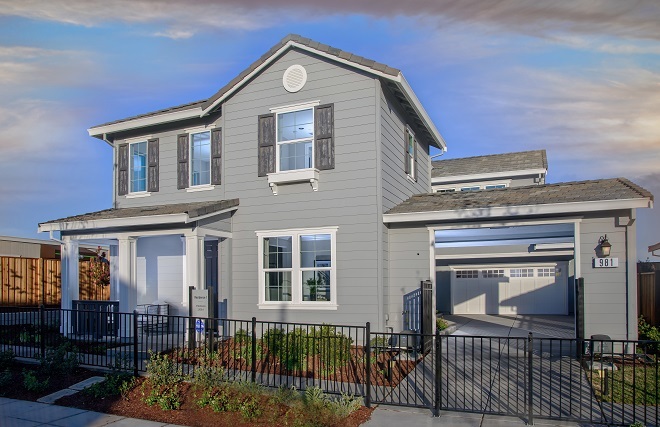 All homes are conveniently close to our community schools and parks. Of course, you can personalize all these homes to match your style and preferences. Love to entertain? Inspirato has plans with spacious kitchens and open great rooms. Wellington by Richmond American Homes offers four luxurious floor plans extending up to 3,590 square feet with seven bedrooms. You will be delighted by the stunning features as well as the range of incredible options including secondary living spaces for extended family members. Our soon-to-open Hansen Elementary School is just a short walk away so you can accompany children to and from school. If you’re looking for a modern home with organization options, look no further than Cordes Village’s Sundance II by TRI Pointe models. These homes combine dazzling floorplans with your practical needs. The newest organization feature is the Home Management center, which provides plenty of space to organize and keep on top of busy schedules, appointments, afterschool activities, and daily menus. Since your home will stay organized, you can enjoy some extra free time to entertain family or relax with friends from your expansive deck, balcony, or porch. Now that you have a taste of what’s offered in Hansen and Cordes Villages, give us a call or text so you can experience what our community has to offer in person. Before you go, don't forget to download a copy of our Village Map to navigate your way.